The Woodland Ridge subdivision is a great place to call home, and with this New Construction home that is nearing completion, you can enjoy the benefits of new construction without the wait of the build. Located just outside of owensboro on HWY 56, this growing subdivision offers the privacy of a country setting with the benefits of suburban living. With 3 bedrooms, 2 baths, front and rear covered porches, a two car attached garage, and 1900 sq. 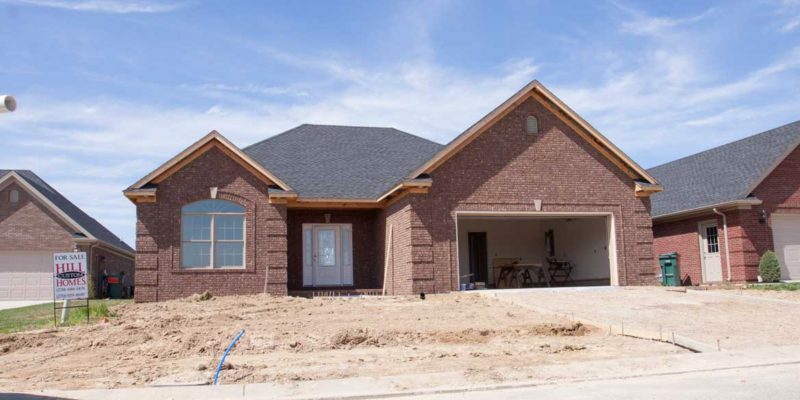 ft. of living space (not including the garage), you’ll be hard-pressed to find a better value for New Construction home in the Owensboro-Daviess County area. Call Robert Hill at 270-929-8687 for more information on this beautiful home. Copyright © 2017 Hill Custom Homes, Inc.